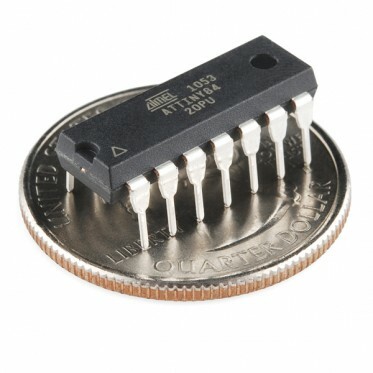 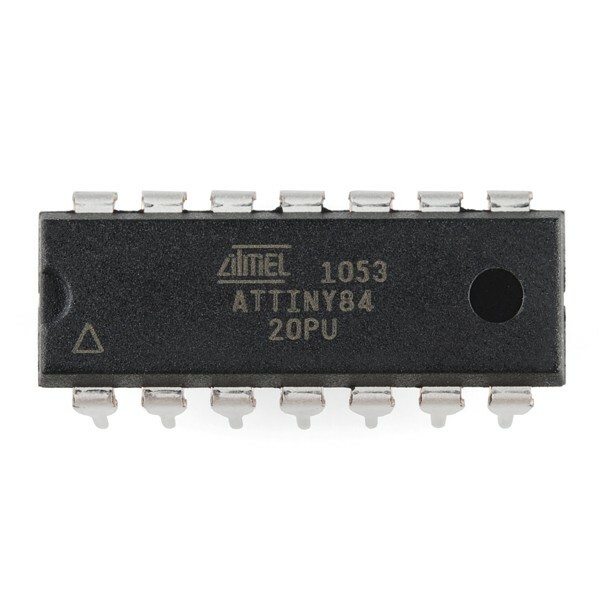 Description: The ATtiny84 is another of Atmel's little tiny 8-Bit Processors. 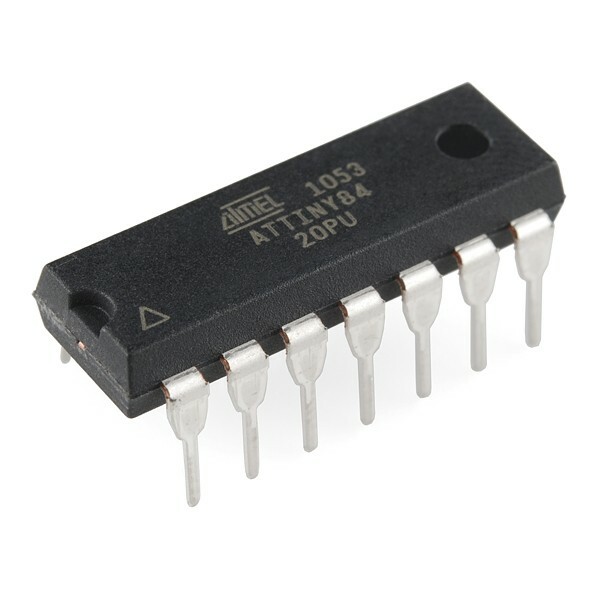 8K of program space, 12 I/O lines, and 8-channel 10 bit ADC. It will run up to 20MHz with an external crystal and can be programmed in circuit.